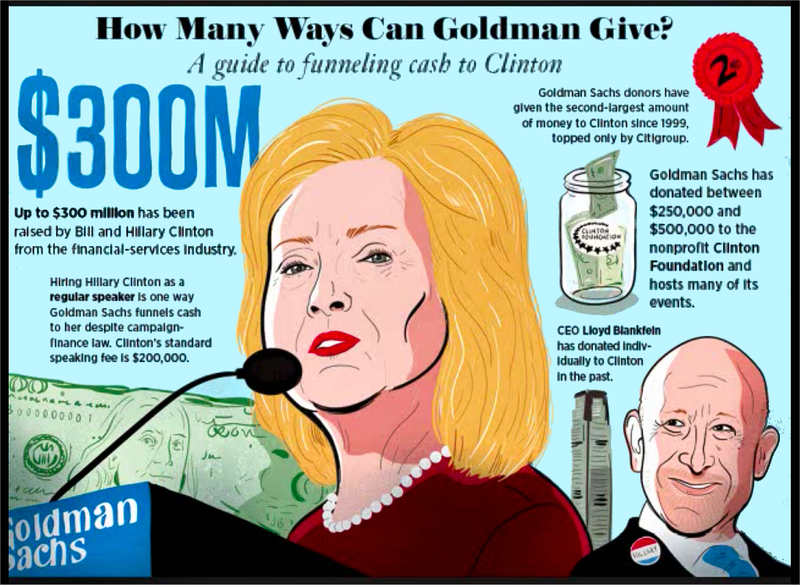 Will Hillary Clinton's speeches to Goldman Sachs poison her candidacy? 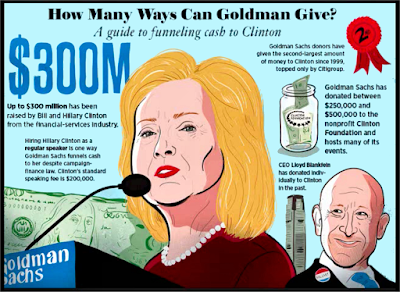 In 2013, Clinton spoke at three Goldman Sachs events for US$675,000. Former Senator Hillary Clinton still claims solidarity with working folk & asserts (link): "I did stand up to the banks. I did make it clear that their behavior would not be excused." 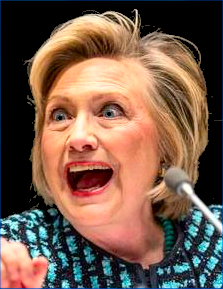 Seth Abramson writes (link) that if we saw Clinton's Goldman Sachs speech transcripts, "it could end her candidacy for president." Assorted transcripts & tapes of other Clinton speeches now pepper the internet. But the three Goldman talks (reportedly each an hour-long, @ $225,000 each) were "private" sessions not open to the public. Nice work if you can get it -- but surely not a working class wage. Major problem is seeking to hide the fact she's highly-corporatist. Worse for Clinton, the financial services industry is belatedly under huge negative attack from the Panama Papers, Oxfam ("Broken at the Top" - link), and the Bernie Sanders campaign. Self-regulation by Big Business is a dirty joke, considering Enron, the four Trump business bankruptcies, disastrous corporate-led trade agreements (TPP, TTIP), and public bailout of private firms. 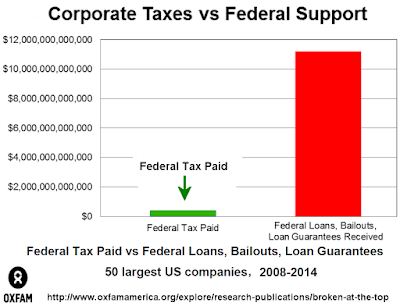 Now Americans wake up to the rude fact they've heavily subsidized top businesspeople. Surely the Clintons , who've lived top of the world now for 25 years, poorly represent typical citizens. 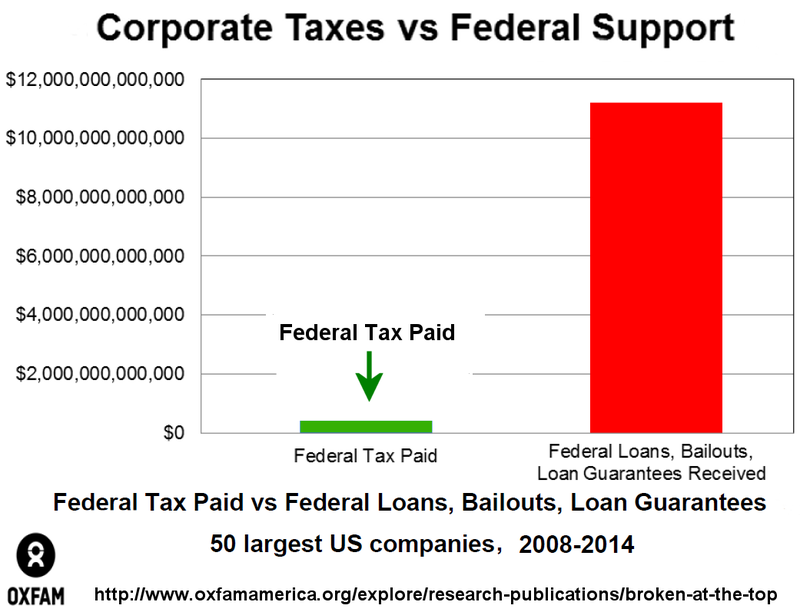 They work hard, but protect the backs of big finance, the banking industry, etc. Hillary's big-money endorsements and coziness with big financiers show she herself is a wealthy oligarch -- no time to befriend the common man, and a tough sell when full-time work doesn't pay a living wage.